Photo Writing - Exploring Photography. : Why Photograph? - The Experience, and why Canikon fails to excite. Then I watched TheCameraStoreTV show where the presenter, Chris Niccolls, reviews the Epson R-D1; the world’s first digital rangefinder camera. A comment of his caught my attention. Towards the end of the video he explains that the “the feel, the look and the experience of this camera” are just different, better almost. 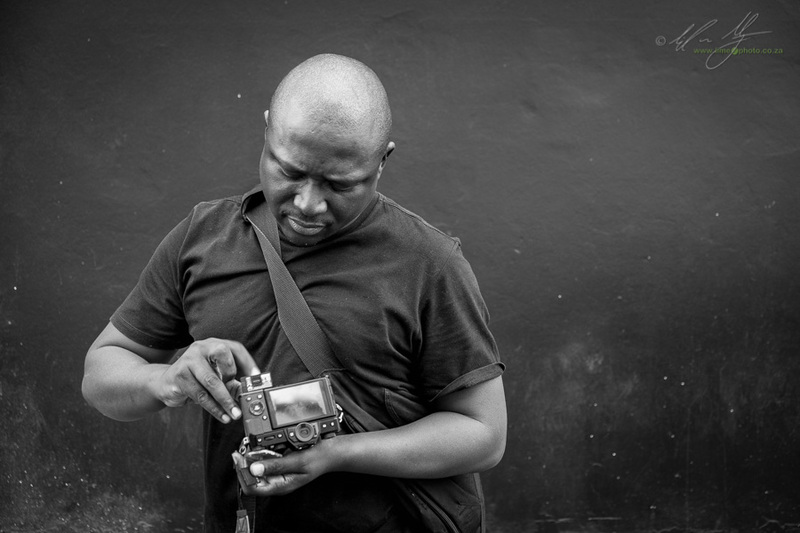 He goes on to say, “we’ve gotta get past technology and back to making photography about the experience of shooting”. There it was, the act of photographing as an experience in and of itself. There are more photographers out there than ever before. Go for a walk anywhere and you are increasingly likely to find someone photographing the scene. One of the many things that guests on our Natures Light workshops ask about before joining, is whether there will be a lot of other photographers at the locations we visit. Part of this revolves around the concern that the scene and the experience are no longer authentic if there are a phalanx of tripod-toting photographers around every corner. Photographing on the Wild Coast a few weeks ago, the experience of a location seemed that much more authentic when we were the only one’s there. So watching the Milky Way at night above the iconic Cathedral Rock felt more authentic and real than photographing the dawn at Hole in the Wall as another photographer’s (not in our group) drone buzzed literally feet above our heads and yet another photographer (also not in our group) set up a tripod nearby. In reality there is no difference between the two experiences. In both situations we were photographing a wonderful landscape, it just happened that at Hole in the Wall we had to share the location whereas we were alone at Cathedral Rock. For landscape photographers, authenticity is wrapped up in experiencing the landscape alone, much as we would envisage the first explorers to have experienced it. It’s likely part of the reason we tend to excise any hint of the man-made from most landscape images. What’s important about this search for authenticity is that the final product that is the image is not the only driving factor behind creating the photograph for many people. Susan Sontag points out in ‘On Photography’ that people require the act of image-making in order to make the event real. If a photograph doesn’t exist, then the moment and the experience never happened. Yes, there are photographers who are bent on creating the image, where the end-goal is the image rather than the experience of creating the image. I would argue though that these photographers would be in the minority, and would likely lean towards photography as a career rather than an aesthetic pursuit. For the vast majority of photographers, creating the image is intrinsic to the experience itself. We can read Sontag cynically here, that we require the image as a mnemonic to the memory of the lived experience, but I think that we have reached a point where to many the camera and it’s use is as important as the scene we photograph. Photography is a pursuit in as much as amateur or recreational sport is. "Photography is a pursuit as much as any amateur or recreational sport is"
This is why Fujifilm has turned into a near-cult manufacturer. Purist photographers all go giddy-eyed at cameras that Fujifilm put out. Olympus has also managed this near cult status among it’s users. Sony have tried to tease a little of this their way with the styling and feel of their A7 cameras. Nikon tried with their Df, but ultimately failed. It’s the so-called ‘retro’ look. Forget hipsters and steam-punk for the time being. Cameras that hark back to an age where imaging technology was more rudimentary create a user experience. It’s not just about the image and its quality, it’s about how we use the camera and what the experience means to us. In another extraordinarily successful product line, Fujifilm’s Instax range has also managed to create a product that produces an experience. Everyone I talk to about Polaroids and using the new Instax prints, talks about the feeling of watching the image appear before their eyes (reminiscing in some cases). Fujifilm have built on the success of creating an experience. Working with their digital cameras is the same. Anyone who uses one of their distinctly retro cameras comes away talking about ‘the experience’. In this way the camera giants Canon and Nikon have gotten it wrong. Their cameras are phenomenal from an imaging point of view. From an experiential point of view, not so much. My Nikon D800, which admittedly is not state of the art anymore, is an imaging powerhouse. I am continuously blown away by what it is capable of capturing. Two decades of using Nikon equipment has also meant that the ergonomics and control of the camera are all but entrenched in my muscle memory. Yet, working with the camera isn’t an ‘experience’ in the same way that working with my Fujifilm XT-1 is, or for that matter a Zenza Bronica that I am shooting a personal project with, or any of my old manual focus 35mm film cameras. I am one of the first people to opine that photography is about the print, but for a great many people it isn’t. In fact for the majority it probably isn’t. For some it is about recording an event, an experience. Not artistically mind you; simply recording for the sake of recording. For others it is about the equipment itself: photographers who take pleasure out of owning the equipment and using it. There are of course an enormous number of photographers who create images as evidence of their own experiences, so as to make them more real. Then there are photographers who add an experiential layer to an experience by using a camera that is an experience in and of itself. 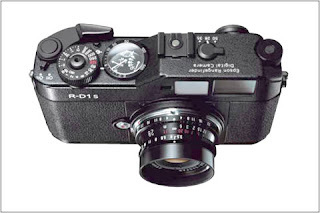 Ask any Leica owner and they will probably nod knowingly at this comment. The personal project that I am currently shooting requires the use of an old medium format film camera as the use of the camera is to slow down and make the experience of the shoot more meaningful, both to myself and to the person being photographed. If ever there was a sense of authenticity in the creation of the image, this would be it. The camera lends gravitas to the occasion and to the experience. In an age where a large proportion of the world are readily versed in imagery, aspiring enthusiast photographers want to feel like ‘real’ photographers. They want to experience the world through a lens in the way that they think Ansel Adams, Robert Frank, Henri Cartier-Bresson, maybe even Diane Arbus did. You don’t get that picking up a Nikon D5 or Canon 1DxMkii. These are cameras that are akin to a modern jet fighter like the F-22 Raptor, whereas the camera that creates an experience just by being used is an equivalent of the Supermarine Spitfire (if we continue the aviation theme). To put it another way, the modern flagships are soulless, whereas the old analogue beasts had personality. Increasingly photographers are opting for the likes of Olympus, Fujifilm and Sony partly because of the design gestalt that goes with so-called retro cameras. Ironically the design of the top end Nikon and Canon cameras is actually the current apex of camera ergonomics allowing us the closest we have been to where the camera is almost literally an extension of the body. I can focus, change ISO, aperture and shutter speed, white balance, various focusing and metering modes, all without having to take my eye from the camera’s viewfinder. Well placed buttons and dials coupled to an informative display means that I can be ready to photograph even in the midst of changing critical settings. They are closest we have gotten to the perfect stills imaging device. Try do that with a circa 1980 Nikon FM. My dream camera is still a digital Nikon FM with a full frame sensor (see this article:A Pleasant Dream). The Nikon Df missed the plot in several ways. It doesn’t excite in the way that it should (although the string of teaser videos that came out in the week before it’s announcement in 2013 promised to re-introduce the experience of photography - herein lies the problem as Joseph Pine discusses in his TED talk; if you say you are authentic you had better deliver authentic, otherwise all you are is a ‘real fake’ as opposed to a ‘real real’ - Nikon’s Df fell short on its over-hyped promises). As for Canon; they are so wrapped up in technology that they have completely missed the fact that there is a clamouring for the ‘experience’ of photography. The old design and look of the Meyer-Optik Trioplan lens that has recently been announced. There’s a reason that there is a revival of sorts for film. 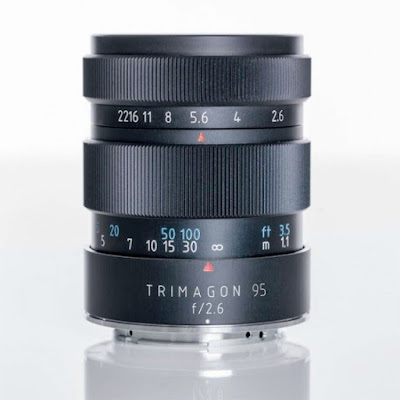 There’s a reason that Meyer-Optik can announce a 'new' (rehashed old design, new manufacture) Trimagon f2.6 95mm portrait lens and people get excited. There is a reason that Fujifilm can keep bringing out new versions (basically new colours and shapes) of their ‘Wide’ and ‘Mini’ instax cameras. There is a reason that Lomo cameras continue to exist despite their being completely horrendously awful cameras. People with the means look for experience and authenticity in their lives and in the things they choose to spend their money on. Perhaps when the big two camera manufacturers finally get this message we’ll see some interesting cameras that promise, and deliver, an experience of photography.